Is your hair thinning a bit? You’re likely well aware that your body works like a machine—if one part is off, then, well, the whole damn thing can start having issues. The best example of this is your thyroid, the small gland in your neck that controls your metabolism and regulates your bodily functions (you know, breathing, temperature, menstrual cycle, and so on). Most of the time, you don’t notice your thyroid gland is working at all (I mean, why would you?). But when it starts misfiring, like not releasing enough thyroid hormone (a.k.a. hypothyroidism) or releasing too much (hyperthyroidism), all hell can break loose. Even more annoying: That hell can break loose anywhere in your body: your eyes, your skin, your hands, you name it. That’s because symptoms of thyroid disease can mirror the symptoms of a ton of other issues. 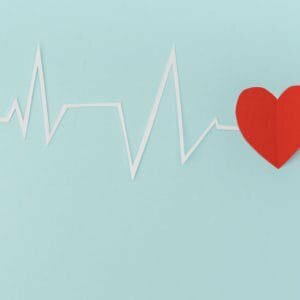 “Symptoms vary from person to person and can come on suddenly or very gradually, so they’re hard to detect,” as Dr. Valentina Rodriguez, an endocrinologist at NYU Langone Health previously told Women’s Health. 1. Your hair is thinning. 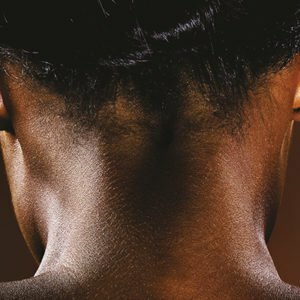 According to the American Academy of Dermatology (AAD), your dermatologist might be the first doctor to notice signs of thyroid disease since many signs and symptoms show up on your skin, hair, and nails. Both conditions—hypothyroidism and hyperthyroidism—can cause your hair to thin. Your eyebrows are hit especially hard: Eyebrows that thin along the outer edges can be a sign of hypothyroidism, Dr. Eve Feinberg, assistant professor of reproductive endocrinology and infertility at Northwestern University School of Medicine previously told Women’s Health. You may also find less hair on your legs, arms, and other areas, or that your hair has become coarse, dully, dry, and breaks easily, per the AAD. 2. Your eyes feel dry and look puffy. While dry, irritated eyes can be a symptom of both hyperthyroidism and hypothyroidism, super-puffy, protruding eyes can be a sign of Graves’ disease, an autoimmune disorder that causes hyperthyroidism, according to the National Institute of Diabetes and Digestive and Kidney Diseases (NIDDK). This happens when the eyelids are pulled back from the eye, per the NIDDK. Along with bulging eyes, Graves’ disease can also cause double vision and swelling. 3. Your muscles feel weak. Both hypothyroidism and hyperthyroidism can cause muscles to feel achy, weak, or stiff, according to Rodriguez. But, because thyroid symptoms often develop slowly, many people don’t notice the muscle aches or weakness right away, or brush it off as typical pain that comes from ageing. Check in with your doctor if something feels off. Hypothyroidism can be associated with difficulty concentrating or depression, while hyperthyroidism can result in anxiety, says Dr. Sona Shah, an endocrinologist at NYU Langone Health. Both disorders can leave you feeling out of control mentally and emotionally, according to Rodriguez, so it’s important to seek mental health treatment, along with medical treatment. 5. Your legs and ankles look swollen. Because hypothyroidism can cause the body’s processes to slow down, it can lead to water retention, which will typically show up in your lower body—your hips, knees, ankles, and feet—because of gravity, says Feinberg. 6. Your neck is swollen, too. If your neck is super swollen, it may be caused by a goiter, which is basically the term for an abnormally enlarged thyroid gland, according to the American Thyroid Association. See a doc if your neck looks swollen. 7. Your weight drastically changed recently. With hypothyroidism, your body slows down, which means that you can gain weight, according to Rodriguez. The opposite can happen with hyperthyroidism, she adds. While many women can see weight loss as a good thing, Rodriguez says it’s necessary to get treatment, regardless of what type of weight fluctuation you’re noticing. Left untreated, any thyroid condition can be extremely hard on the body, “especially the heart,” she says. 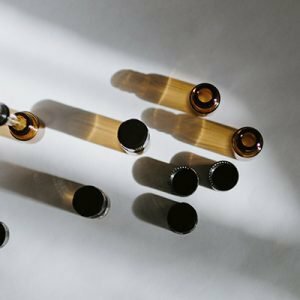 Wait, Can CBD Legit Help With Anxiety?